As soon as you arrive at Sandpiper Golf & Country Club you will promptly notice that it is a lively 55+ community; perfectly situated in gorgeous Lakeland, Florida. In fact, residents of Sandpiper Golf & Country Club are privy to an abundance of amazing amenities which complement the community’s refreshing lifestyle. Originally started in 1985 and completed in 1998, over 1,00 attached and single-family homes are attractively arranged throughout the grounds. Conveniently settled in the heart of central Florida, residents can easily enjoy the exquisite dining, plentiful shopping, stunning beaches, and thrilling theme parks Florida has to offer; all within a short drive. Homebuyers have two useful options upon considering purchasing a home in the Sandpiper Golf & Country Club neighborhood. Accordingly, single-family and villa home styles are available and provide for simple, low-maintenance living. The villas come with two bedrooms, in most cases two bathrooms, and parking areas or garage spaces. Additionally, one story, single-family homes can be purchased with up to three bedrooms and up to two and a half bathrooms. Included is garage for up to 2 cars. In effect, these homes are great for active adults and feature open floor plans. 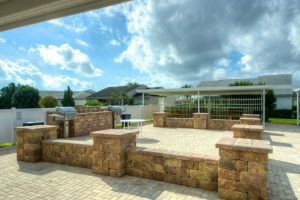 Most of homes boast back patios with covered lanais for the ultimate in Florida living. Property owners can choose to spend their time socializing at community events, joining one of the various clubs and/or participating in the numerous activities offered at Sandpiper Golf & Country Club. In fact, there are a myriad to choose from; over 50 organized events and activities as stated by Sandpiper’s POA. With this in mind, it is expected that you can find just the right choices to compliment your lifestyle. A reasonable annual property owners association fee covers all maintenance of the community grounds, copious amenities, as well as lawn care and cable tv for each home. 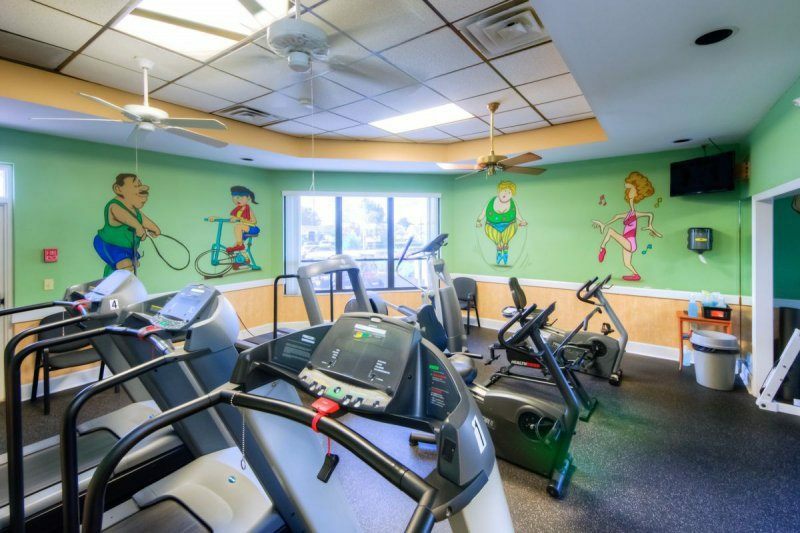 Boredom beware, Sandpiper Golf & Country Club offers a considerable variety of amenities for their residents! Many which are centered in their spacious clubhouse or around their lovely pool and spa. Included indoor amenities are an elegant ballroom with stage, a multi-purpose room for events, a large fully equipped kitchen, billiards, table tennis, a card room and library. You will also find a nicely furnished fitness center. Indeed, we cannot forget the outdoor amenities. Especially the beautiful pool and spa, sundeck, BBQ pits, tennis courts, horseshoe pits, bocce ball courts, and shuffleboard courts. All of which, are sure to bring out your playful, competitive nature. Furthermore, a links style 18-hole golf course is also accessible and caters to various skill levels. But that’s not all! A bonus recreation center features a catering kitchen, additional outdoor pool and tennis courts making it the ideal venue for community events, club meets, and parties. With all the available choices you may never want to leave the community! Below is a sampling of what your day and evening could encompass. 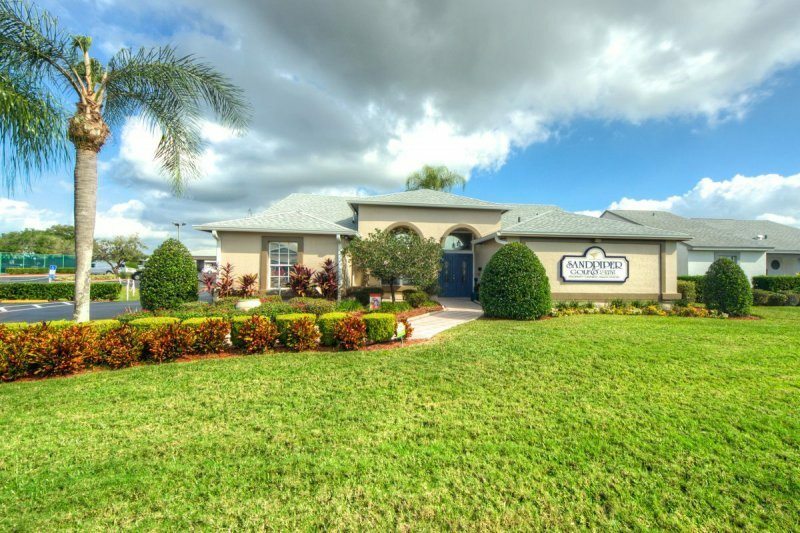 This affordable community is located in North Lakeland, just minutes from Interstate 4. Overall access to Sandpiper Golf and Country Club is a breeze with six community entrances located on North Socrum Loop, Old Polk City Road, and Walt Williams Road. 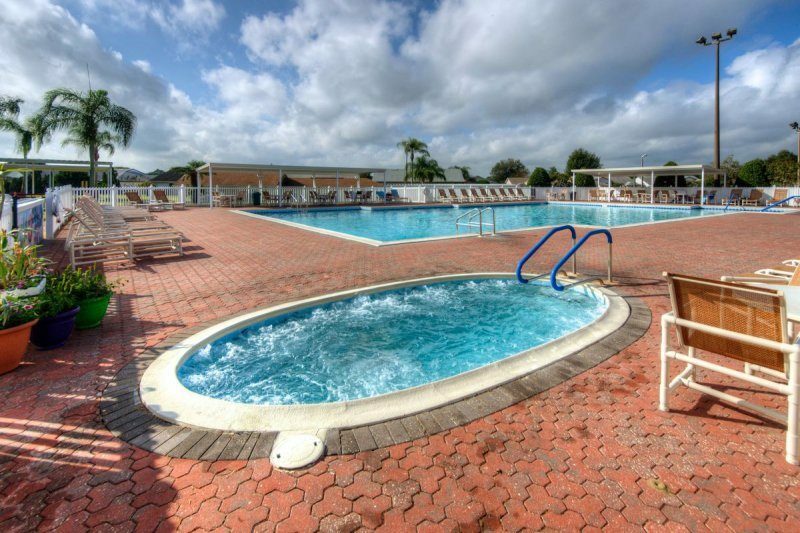 In summary, this sunny central Florida gem is the ideal location for older active adults. Moreover, Lakeland is home to a multitude of options for dining, entertainment and shopping. Additionally, there are also many religious establishments and state of the art healthcare facilities; not too mention the splendid scenery. As a spring training home to major league baseball’s Detroit Tigers, you can catch a game without leaving the city. On top of this, Lakeland hosts a gorgeous mosaic of lakes and scenic parks that are effortlessly enjoyed. So, take a day to go fishing, boating, or sightseeing nature in it’s purest forms around the city. Superb opportunities for recreation and entertainment await you in a beautiful and charming locale, making Sandpiper Golf & Country Club the quintessential location for active adults!